To be honest, the term Boku slots is not perfect. It should be Boku slots casinos. Anyway…, Boku (followed by Payforit), is one of the fastest growing casino deposit methods. That’s not a big surprise considering the exponential growth of mobile gambling which is expected to cross 100 Billion dollars in revenues in 2017. However, Boku success shouldn’t be assigned just to the growth of the industry. There are many companies which offer Pay-by-Phone solutions, but just Boku managed to set itself apart from the rest as the industry leader. How that happened? We will explain below. Meanwhile, if you are not interested in more details, here are the top casino sites accepting Boku deposits. Simplicity: it just doesn’t get easier than that. You place your phone number in the casino cashier. Receive an SMS. Reply “Y” for Yes and that’s it. No multiple fields, credit card details, passwords. Nothing. Security: this is the safest of all deposit methods. Unlike with credit cards for example, where each casino you sign up with gets your banking details, here you share zero information. Clear limits: in most cases, the maximum amount you can deposit is £30. So you won’t be able to deposit 1000 pounds in one time after getting pissed at your boss. Nothing is perfect in this world and Boku has its flaws. Deposits only: unfortunately, the technology haven’t developed enough to allow withdrawals back to phone bill account. That’s not just for Boku, but in general. Judging by how fast things are developed, we expect this to change in the near future. Low limits: the other side of the coin is that the deposit amounts are limited. So if you wish to play with higher stakes, £30 deposits will do you no good. In that case PayPal would definitely be the best choice. If you enjoy playing on the go, Boku casinos should definitely be your number one choice. 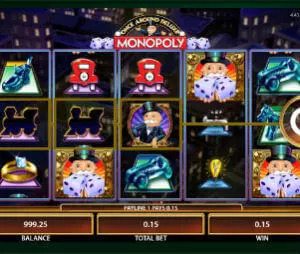 Just make sure to pick casinos with wide range of mobile slots and, of course, the ones that offer really fast payouts.